We are excited to announce our 2017 summer camp lineup! Play games, sing songs, create characters, tell stories! 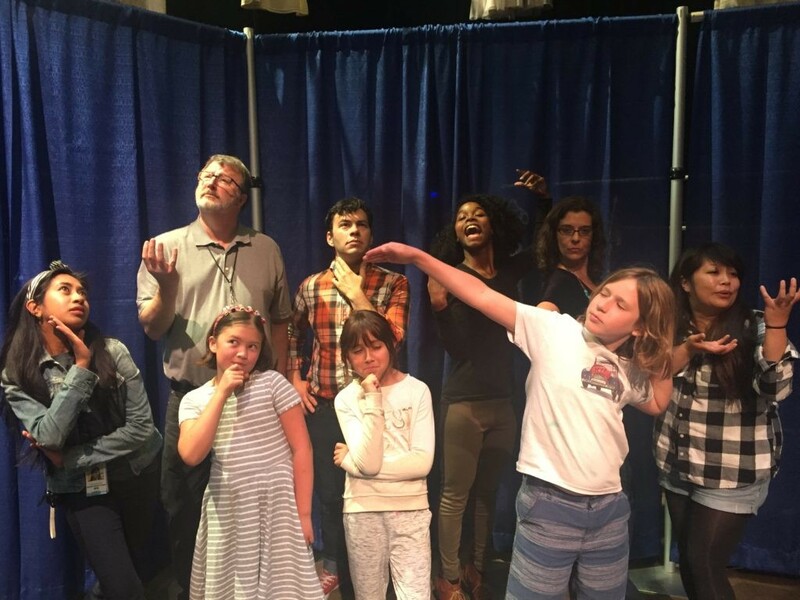 In this one-week camp, we will explore theatre through fun activities that will help teach the basics of drama while engaging the imagination. The camp will finish with a final sharing on the last day of camp where all campers get to show off their new skills. Introducing the newest addition to our summer theatre camp experience focusing on improvisation and storytelling. We will dive into the collaborative world of creating an original piece of theatre from the ground up! Through basic improv skills, theatre games, story building workshops and artistic collaboration, our actors will construct their very own unique theatre experience. The week will culminate in a final sharing for friends and family. Emphasis will be placed on building a strong ensemble and exploring artistic creativity. Explore the world of Playwriting! Theatre games will inspire campers to come up with their own fun characters. Writing exercises will provide campers with the basics of story structure. We will introduce the concepts of character objectives, obstacles, metaphor, and conflict resolution. Each camper will develop her/his ideas into their own two-character, ten-minute play. The week will culminate in readings of all the plays by special guest actors on the Creativity Theater stage.